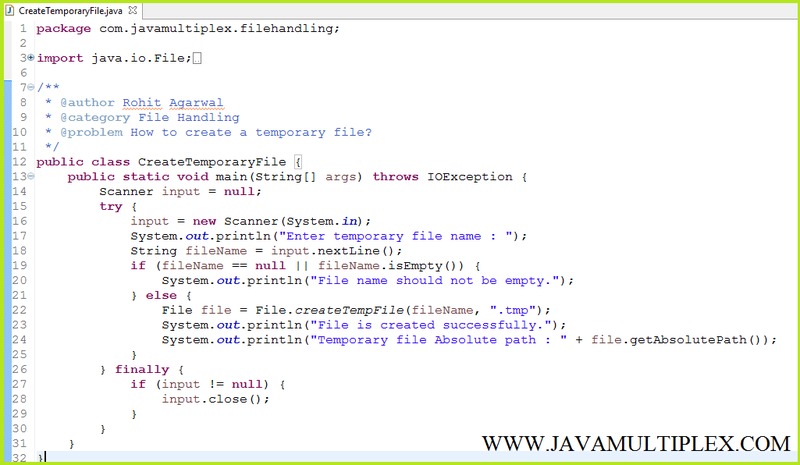 Home Basic File Questions How to create a temporary file in Java? Write a program in Java that creates a temporary file. 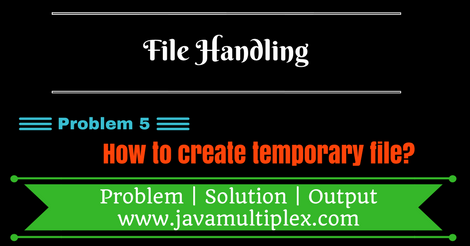 If you want to create a temporary file with ".tmp" extension in "Temp" folder then you need to use following method of File class that is present in java.io. * package. Tags : File Handling, Create temporary file, if else, Scanner, File, String, Regular Expressions, java.io, createTempFile(), exists().